I had the privilege to attend the Annual Benefit for the Rockland County Holocaust Museum and Study Center on Sunday, November 2nd. The plan to construct a captivating, interactive center in space given to the Museum by Rockland Community College means that the mission of our Holocaust Museum and Study Center will continue and expand. The Museum is the place where the Jewish community fulfills our obligation to remember and where citizens of all cultures and faiths learn lessons of acceptance and tolerance. 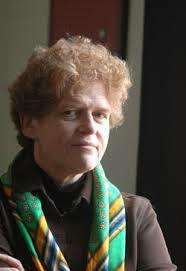 Sunday’s speaker, Dr. Deborah Lipstadt, shared the frightening and depressing picture of anti-Semitism that we have been reading about for several years. Anti-Semitism is rampant in the world and cannot be dismissed as an aberration in time or as anchored only in one quadrant of the world. She cautioned us, however, not to equate the violence and hatred being experienced now with that of the beginnings of the Holocaust, violence which at that time was State sponsored. While she did not diminish the necessity of concern for all who value a free, democratic, open, multicultural and enlightened society, she did urge us to refuse the lachrymose theory of Jewish history. As historian Salo Baron said decades ago, we can choose to see the story of the Jewish people in chapters that jump from pogrom to pogrom or we can choose to look at the great triumphs in scholarship, culture and world impact in between those pogroms. When we say, “I am a Jew” we must say it with an exclamation point and not with a question mark. How then do we teach a new generation that being a Jew is about more than a history of physical and emotional attacks? How do we teach the Holocaust in a way that instills Jewish pride? How do we raise children secure enough to wear a Jewish star or a kipa in public? According to Lipstadt, the answer is that we identify as Jews not because of anti-Semitism, but af al pi… despite anti-Semitism. Bring your middle school and older children to participate in a candle lighting ritual. Learn from Museum President Paul Galan. The time is now to say that we are proud Jews despite anti-Semitism. The time is now to say, “I am a Jew” and complete that statement with an exclamation point. Rabbi, This is the first time that I have read your blog. Its is brilliant and so very informative. Every Rabbi in Rockland should follow in your footsteps in broadening the horizons of their congregants. I salute you and will from now on be an avid follower of your effort.